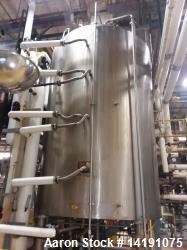 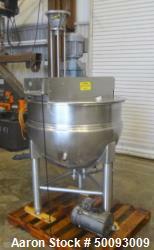 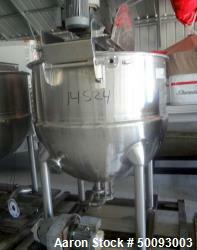 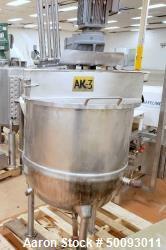 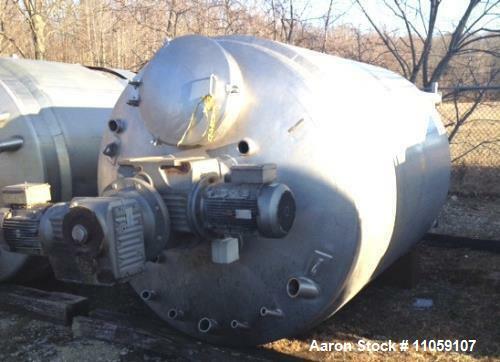 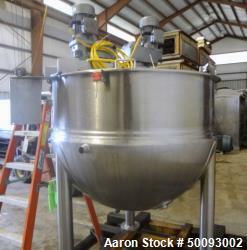 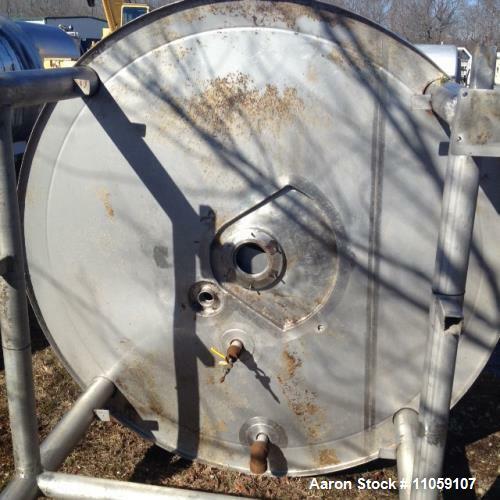 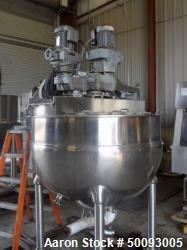 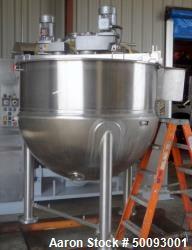 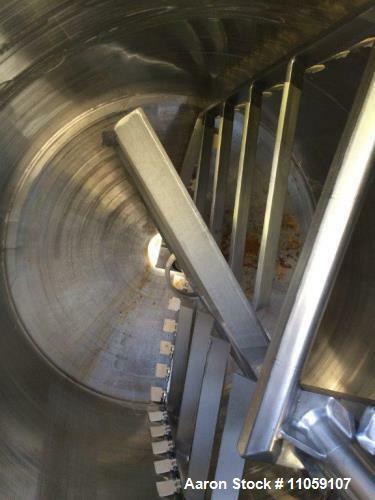 Used- Lee 1500 Gallon Jacketed Kettle, Model- 1500U9PMS. 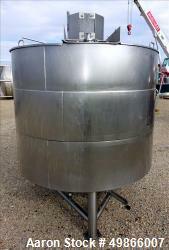 6' 6" diameter x 7' height, stainless steel construction, double motion scrape agitation. 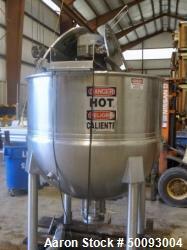 Jacket rated at 125 psi at 353 degrees F, 1-15 hp rated SEW Euro drive (3.1 to 18.6 rpm output) with 1-10 hp drive motor, 230/460/3/60. 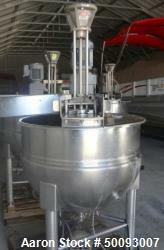 Prior use: sanitary food application. 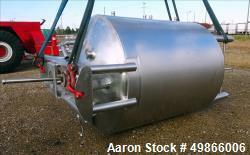 Built in 2008.